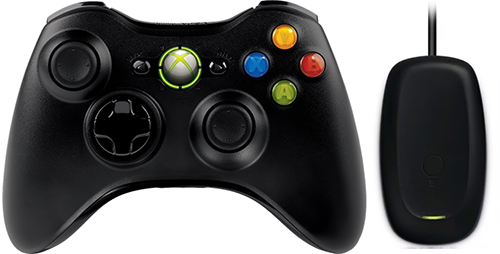 For many, the Xbox 360 controller was a game changer when it was released and soon became the default controller for many. It's sleek design is not only functional but is comfortable to use which is why it is still a popular controller today. For those that do not want to part with their Xbox 360 controller, be it wired or wireless, having a CronusMAX PLUS means they do not have to, as with one, it can be used on a PlayStation 4, PlayStation 3, Xbox One, Xbox 360, PlayStation TV and a Windows PC. The Xbox 360 wireless controller communicates over a proprietary 2.4 GHz protocol. In order to use an Xbox 360 controller wirelessly with the CronusMAX PLUS you'll need an Xbox 360 Wireless Gaming Receiver. You can buy one here.